Add a touch of abstract elegance to your outfit with this fair trade necklace, handmade in Mexico from reclaimed silver. 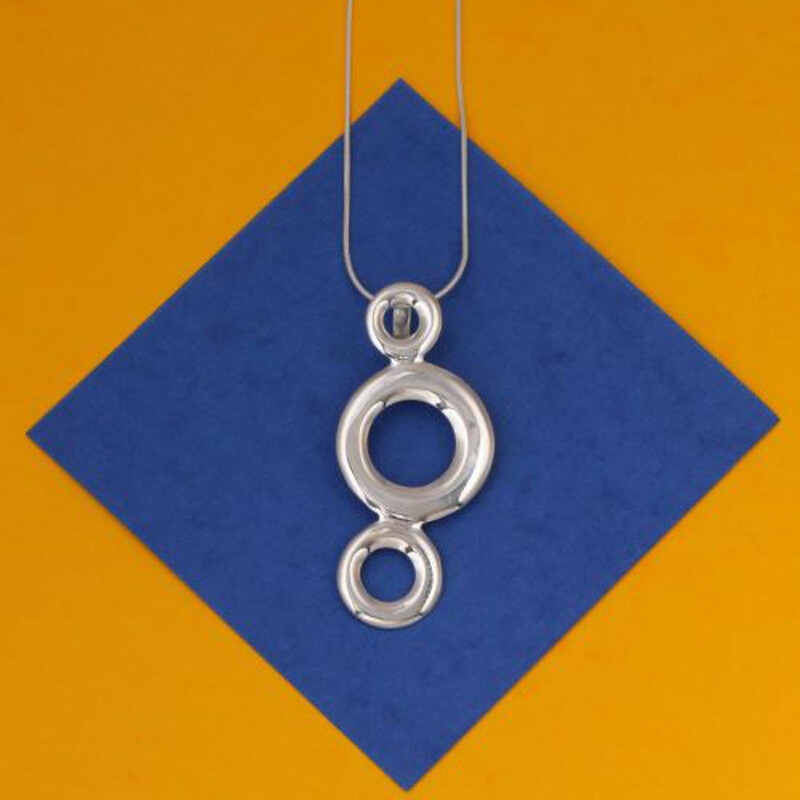 It features a beautiful double circle pendant measuring 4cm handing from the 41cm silver chain and is presented in a lovely gift pouch. Matching earrings available here.